Experience Jesus' love for you as never before. 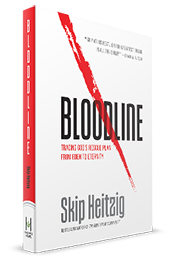 Skip Heitzig invites you to follow the story of Jesus through the Bible with his NEW book, Bloodline. This new release is our gift to thank you for your donation below to help connect more people with the gospel. Give below to request your copy—and join the Bloodline journey today.